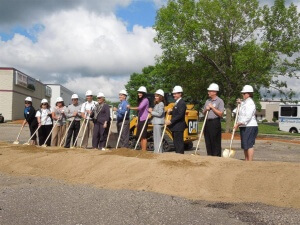 On July 27th, Mohagen/Hansen participated in the Lifestyle Commons II groundbreaking ceremony where the relocated Simonson’s Salon & Spa will stand. Mohagen/Hansen Architectural Group partnered with Simonson’s Salon & Spa and Arrow Companies to provide architectural design for the building shell and interior architecture and interior design for the build out of tenant space for Simonson’s. This building will be located in the heart of Plymouth and occupy 7,100 square feet. Simonson’s Salon & Spa provides full service, upscale hair, face, body and nail services for men and women. 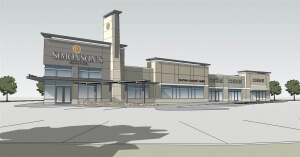 The relocation is scheduled to be complete in January of 2013. To follow the progress of this project, visit www.simonsons.com/plymouthrelocation.